We just planted two crab apple trees last year in our orchard. I can’t wait to get a harvest from them. It might be a few years. New to canning? Before you begin, you might want to read Preparing Jars and Lids for Canning and Getting Ready to Can. 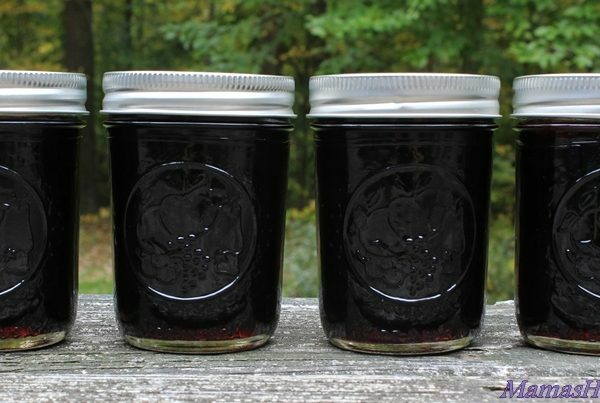 If you like Crab Apple Jelly, you might enjoy Crab Apple Butter and Crab Apple Sauce. 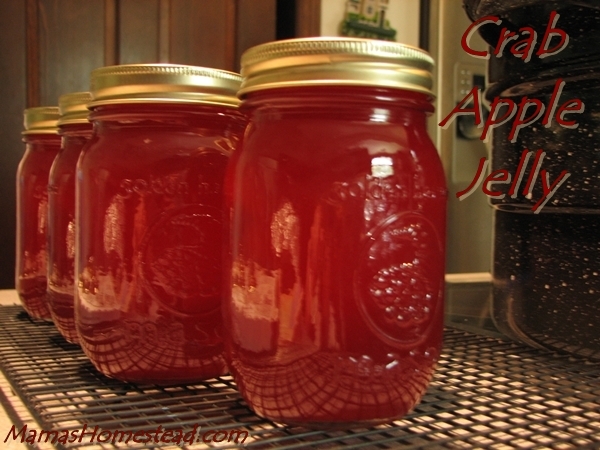 To make crab apple jelly, you will need crab apple juice. They don’t seem very juicy, but you might be surprised. Here is how you get juice from crab apples. Be sure to select the best quality fruit. 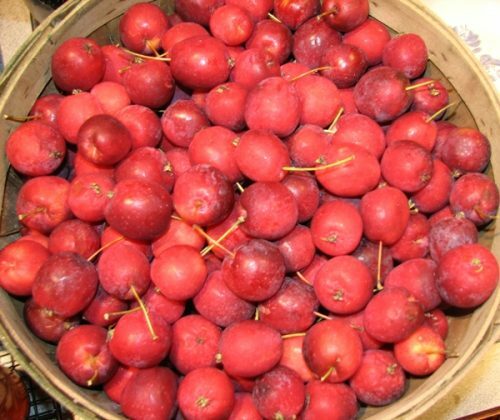 Wash the crab apples, remove stems and blossom ends (do not peel or core), cut them into quarters, measure, and put them in a sauce pan. For every slightly heaped quart of apples, add 1 cup of water. Cover and simmer crab apples until tender. Strain hot mixture through a damp jelly bag or several layers of cheese cloth to extract juice. Juice may be used right away to make jelly, or you can freeze or can it for later use. Put crab apple juice in a large sauce pan. Add sugar, stir until sugar is dissolved. Bring to a boil over medium-high heat, stirring constantly. Cook to gelling point or until gel sheets from a spoon (220 degrees F on a candy thermometer, at sea level). Remove from heat and skim foam (if necessary). Ladle hot jelly into prepared canning jars, leaving 1/4 inch head-space. Wipe rim and threads of jars with a clean, damp cloth. Adjust two-piece canning lids, centering the seal on the rim of the jar. Screw band down evenly and firmly, just until resistance is met (fingertip tight). Process in a water bath canner for 10 minutes. Turn off heat, allow canner to cool 5 minutes. 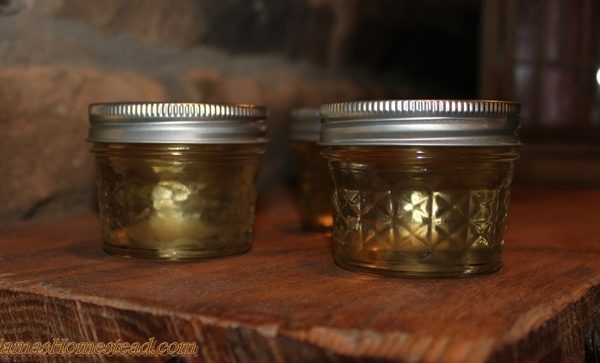 Remove jars from canner, place upright, 1 to 2 inches apart on wire cooling rack, cutting board, or dry towel. Allow to cool 12 to 24 hours. Note: do NOT try to tighten bands that have loosened during processing. If the lid does not have a good seal, refrigerate your jelly and use right away or reprocess. 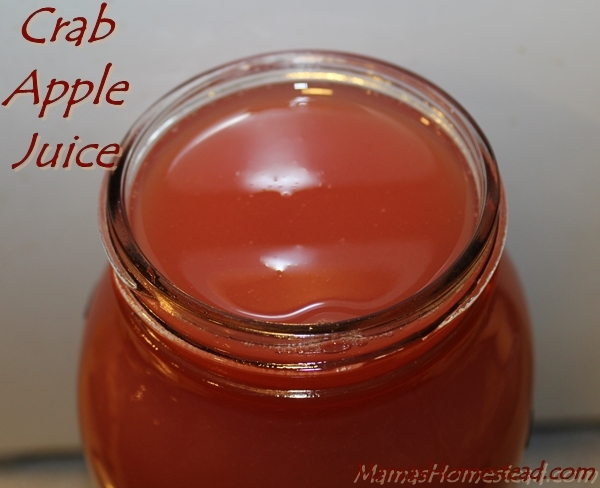 Have you ever tried Crab Apple Jelly? Cook to gelling point or until gel sheets from a spoon. Remove from heat and skim foam (if necessary). After 12 to 24 hours has passed, test seals by pressing the center of the lid to determine if it is concave; then remove the band and gently try lift the lid off with your finger tips. If the center does not flex up and down and you cannot lift the lid with your finger tips, the lid has a good seal. I really need to share this with a gal that comes to our weekly Bible study. She made us an apple crisp with crab apples from her neighbor’s tree. I think she would make the jelly too! I make jelly every year, and every year I dreaded cutting the ends off of and quartering the apples ( to say nothing of your fingers turning orange). Last year my husband asked me why go to all the trouble, just cook them whole….It makes beautiful jelly and you can’t tell the difference. I live in Indiana….where can I get some crab apples? 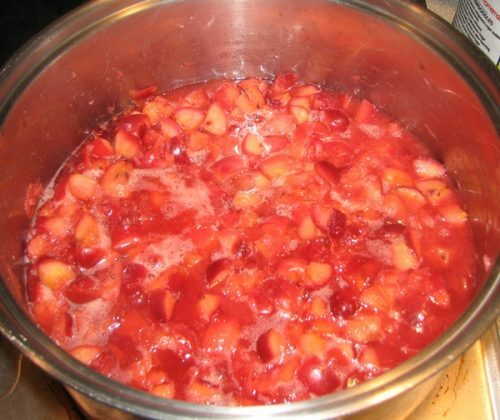 I grew up in California and my Grandma made the best crab apple jelly….I want to make some but can’t find any crab apples. What are the recipes would you use the jelly in? Hi, I made a big batch of crabapple jelly and it is bland! I’m wondering if I can use it for pectin? Any thoughts would be great. Thanks! I have a fantastic juicer. Can I just juice the raw, whole crabapples and use the juice? I grew up in a small town name : CRAB ORCHARD, TENNESSEE.. Name came from all the crab apples. I thought Mom and Grand maw used the crab apple juice to make other jellies to. They used the juice from the apples to make other jellies. Am I correct on this as to it does work? Love your post will be coming back again. Thanks. My mame is Linda. Thank you for stopping by. Yes, apple juice has more pectin than most other fruits and is known to be used in this way. 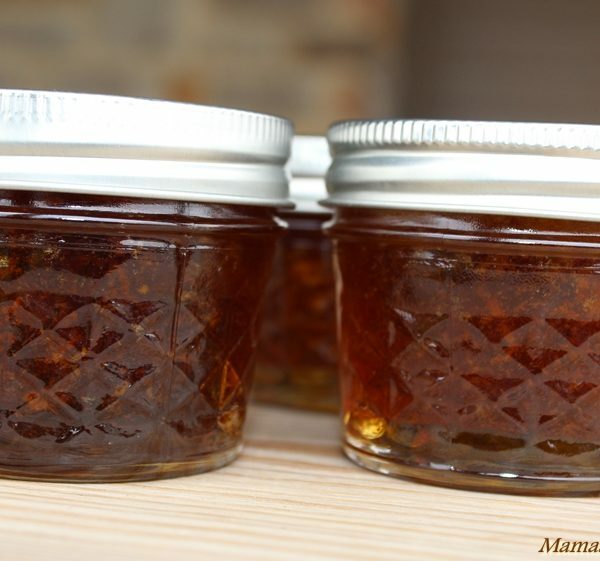 I remember my mom and grandma using apple pectin to make jams and jellies. 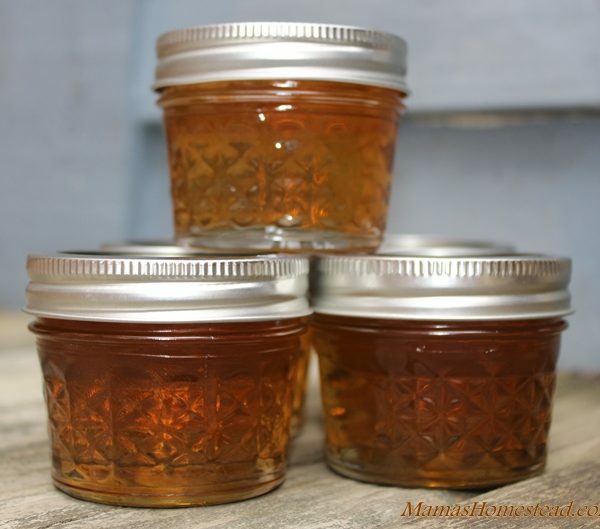 I have never tried this myself, but here is a tutorial on How to Make Apple Pectin.